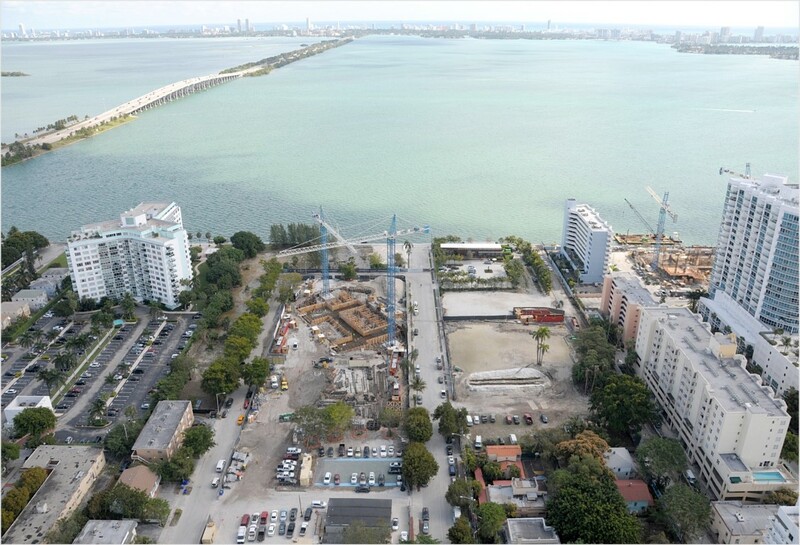 Over the weekend, Related Group poured the foundation for a 53-story tower at Paraiso Bay. 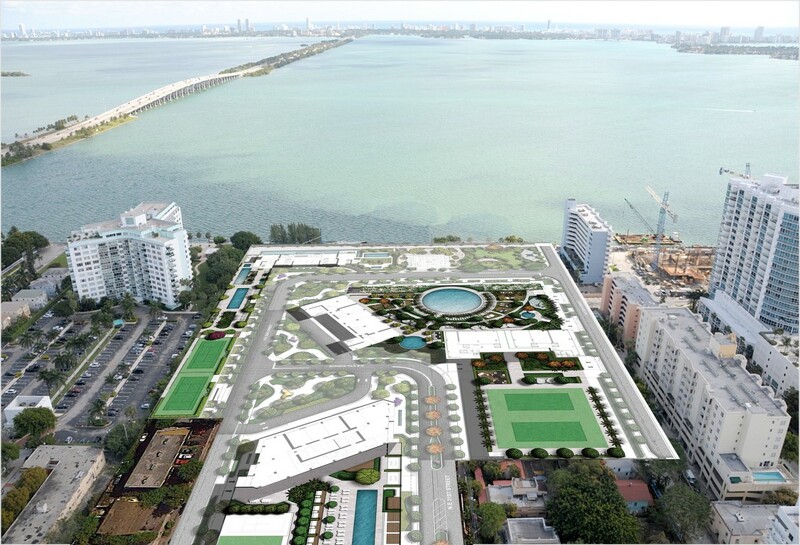 The foundation is for the first of four towers planned by Related in the Paraiso Bay complex. Sales are underway for the remaining three towers, and the developer has already converted reservations at two other tower, Paraiso Bayviews and One Paraiso, into contracts. The first tower includes 325 units, while the complex will eventually include about 1,300 units. Residents will enjoy 2-acres of parks and green space, of which only a small portion will be open to the public. Miami 21? We don’t need no stinking Miami 21. Let’s close the street and block public access. We’ll give them a tiny sliver in return. What public currently accesses those sites? The naysayers on here never cease to amaze me. How can anyone think this isn’t a great project for the area? Great for Edgewater to finally see all these empty parcels being developed. I think its preferable to have a park than a dead end street like everywhere in Edgewater. Go to any of those dead end streets and when 4 cars park at the end of the street to fish there is no view connection to Biscayne. Additionally every morning we find condoms and syringes on those dead end streets, or beheaded chickens… need activation and small neighborhood parks. Hopefully Biscayne Line will be built connecting all the waterfront and creating public access to the whole watererfront. And here I thought I was the only one finding condoms and decapitated chickens. What a relief. Nice but building a gated compound does not make a great city. Amazing site with incredible water views…will sell like hot cakes. Off course…people love the water…it will sell. And the neighbors are getting an amazing neighborhood park and a Michael Schwartz restaurant. 1200 happy families for sure…wish I had the money to buy one. plus we are all getting a Michael Schwartz restaurant on the bay…super cool to get public activities on the water for EVERYBODY to enjoy. We had those running for months next to us at the Biscayne Beach site, too (water pumps I think). Only one or two left now. Hopefully will go away for you soon now that foundation is poured, though they still have 3 more foundations to go. If anyone ever actually lived in this thing it would be a traffic/logistical nightmare with 1300+ units at the end of a small dead end street far from any retail or mass transit. Luckily its not really intended for anyone to actually live in but rather for South Americans to park their money in rather than their cars. The units are too expensive to be turned out as rentals by the owners. The predominantly 1-bed and small 2-bed we saw last boom get built around Brickell were much more suitable to be rented out (for example Axis & 1060 Brickell..etc packed with end users, Four Seasons and Jade…not so much). Today with rents over $3 a sft rentals last days in the market..
With MUSEUMS, brickell city centre and the design district all moving along I bet you that Edgewater will be the next Brickell. Pitty that the guys putting their money where there mouth is are the foreigners. I am sure my agents will be able to rent plenty of these units. New Yorkers love Edgewater and for them the prices will still be a bargain. Don’t New Yorkers look to buy? Also, anything quantitative to back up the claim about New Yorkers liking Edgewater?